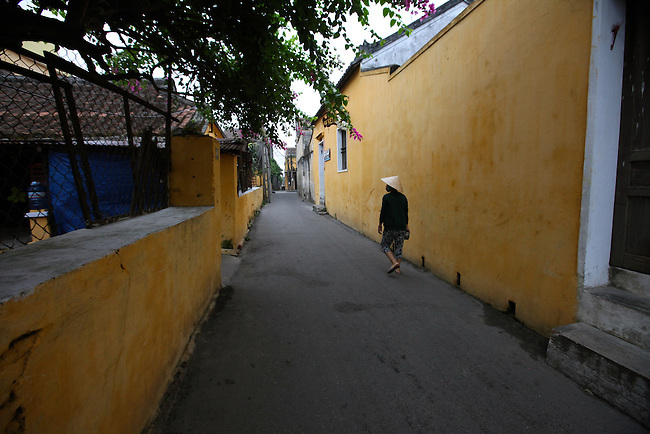 A woman walks down an empty alley early one morning in Hoi An, Vietnam. The city was an important colonial trading port from the 15th to the 19th centuries, and the architecture of Hoi An Ancient Town is the most well-preserved in Vietnam. April 22, 2012.